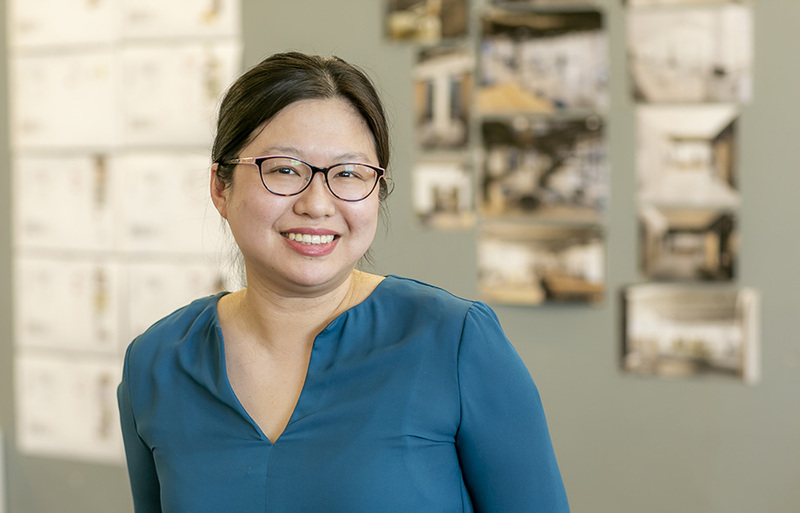 BOSTON – August 3, 2018 – TRIA, a partner-led architecture firm with a focus on science and technology organizations bringing new discoveries to the market, is pleased to announce that Wing Fu has joined the firm as a lab planner. With more than 19 years of experience as a research scientist, Wing brings a unique perspective to TRIA’s lab planning, programming, and design team. She joins core team members, Principal Jeannie Thacker, AIA, NCARB, LEED AP BD+C, and Director of Programming and Planning Jane Kepros, LEED Green Associate, in providing TRIA’s clients with invaluable insight into the creation of scientist-designed labs and research spaces that support end-users’ optimal workflow in the lab. TRIA’s design team leverages its own research practitioner experience and first-hand knowledge of scientific organizations to bring equal parts scientific rigor and focused client service that result in innovative design solutions. Using both technology tools and a progressive “form follows culture” design philosophy, TRIA holistically integrates lab design and interior design to transform spaces into beautiful, functional centers that help companies thrive. Prior to joining TRIA, Wing worked for 11 years at Momenta Pharmaceuticals in Cambridge, Mass., holding the positions of associate scientist, scientist, and lab manager in the company’s Analytical Development division. Most recently in her role as lab manager, she served as the liaison during planning, design, and construction for the lab’s recent move, as well as being responsible for coordinating and facilitating the calibration, maintenance, and validation of laboratory equipment, supervising work performed by outside vendors, and managing all fiscal and tangible assets. Wing’s work experience also includes research associate positions at Regeneron Pharmaceuticals in Tarrytown, New York, Howard Hughes Medical Institute at Rockfeller University in New York, and Picower Institute for Medical Research in Manhasset, New York. Wing graduated from Columbia University Fu Foundation School of Engineering and Applied Science, earning a Bachelor of Science in Chemical Engineering. She has extensive experience in various analytical methods and techniques to characterize complex generics, monoclonal antibodies, and glycoproteins, with particular expertise in analytical method development and qualification. She is the author of several published papers on her research in analytical chemistry, biological chemistry, and biochemistry. TRIA is a full-service architecture firm that values client relationships above all. The firm’s principal-driven approach puts our leadership team at the table with client decision-makers, working together to envision success, solve problems and deliver exceptional results. Our lab design and corporate interiors teams strive to learn every client’s unique DNA, and by doing so, we create efficient and energizing spaces that reflect a company’s culture and foster innovation. At TRIA, we design spaces that enable business success and advance new discoveries – in the lab, around the office, and beyond. Visit us on the web at https://tria.design and connect with us on Twitter, LinkedIn, and Facebook.